We haven’t shared a lot of our work in the past, but looking into 2015 our goal is to open up about the process. 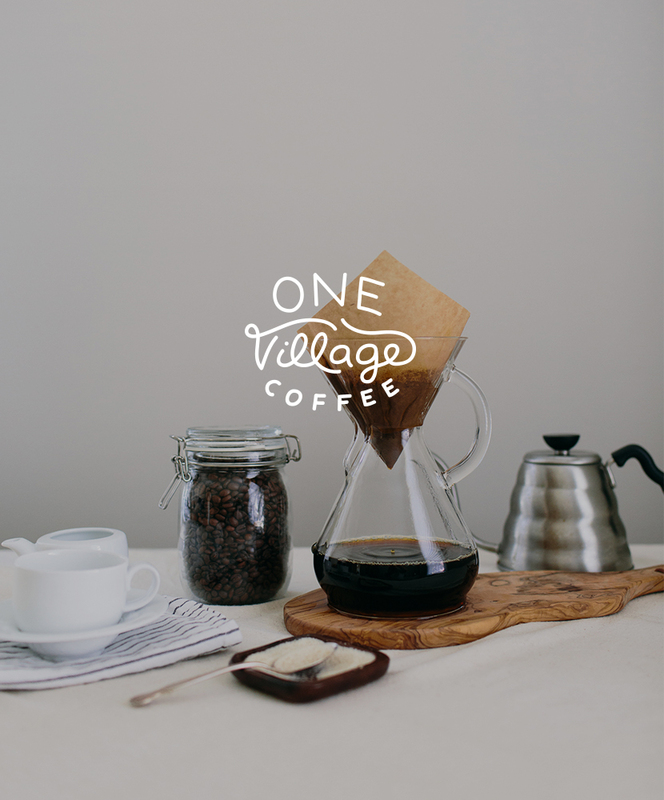 Today, we are going to show you our latest brand build, One Village Coffee. They are based just outside Philadelphia and are literally one of the most ethically driven companies I have ever been around. They began nine years ago, and were one of the founding B-Corp companies (Along with Method, Good Magazine, and Klean Kanteen). Like many brands we meet, they began out of passion. Originally they had no background in coffee but as a group of family and friends who traveled the world and saw how microeconomic impact in small villages had direct impact on those communities, they saw coffee as a vehicle for change. They understood that an entire village could be economically supported if their product could connect with a willing buyer. At the time, fair trade wasn’t yet a big idea, but it was at the core of their company. So today, they are roasting some of the best and most ethically sourced beans in the world and operate completely fair trade. 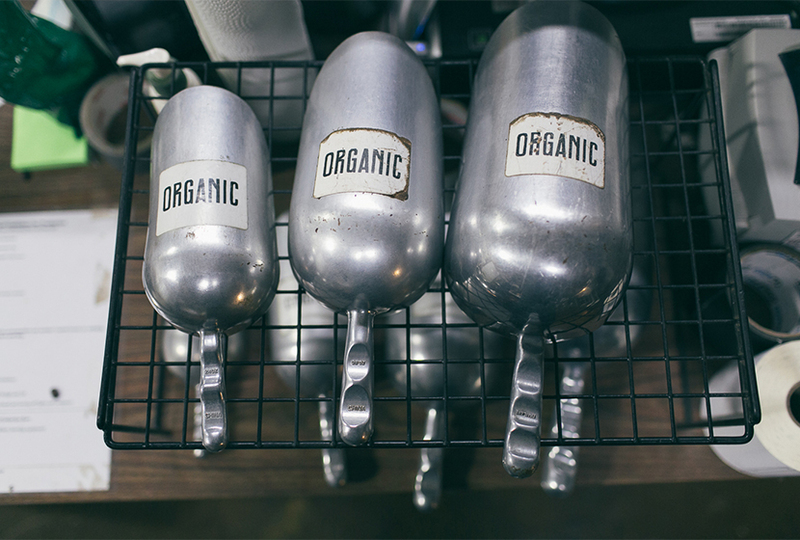 Not only that, a majority of their coffees are organic. I cannot stress how obsessed they are with quality and passion for sourcing the best beans possible. 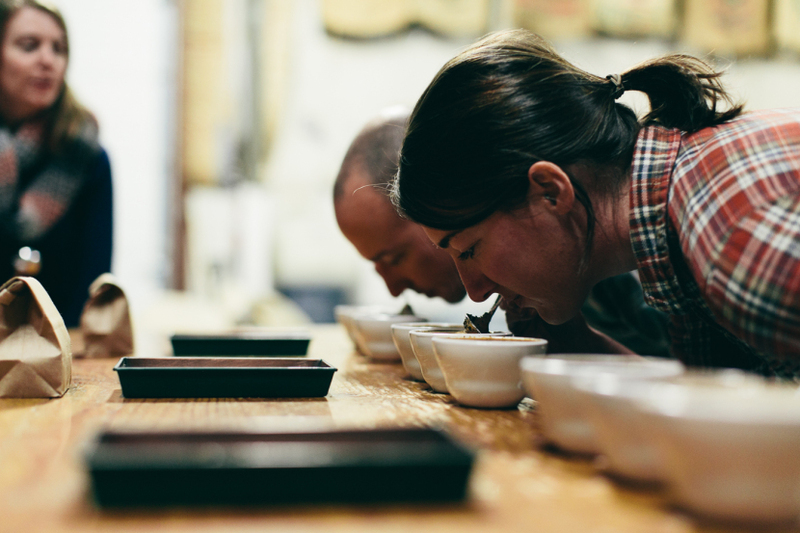 I sat in for a “cupping” session, and was blown away by the flavors and depth they had in their beans. 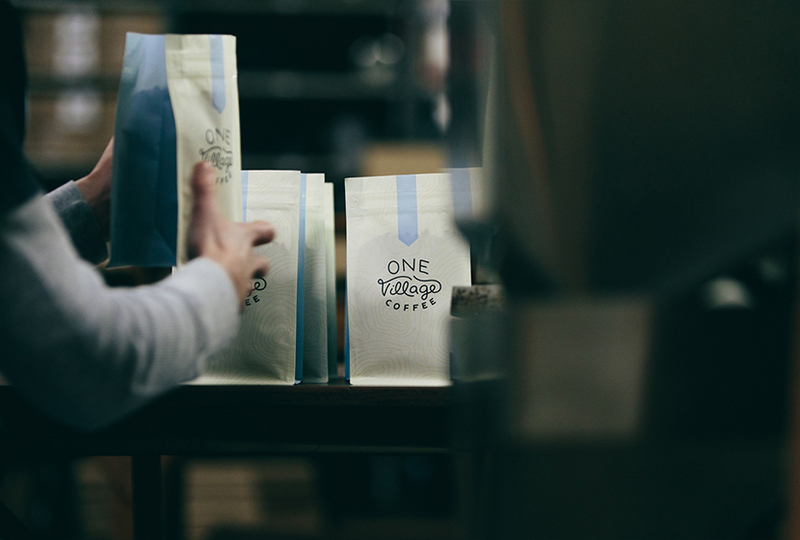 We had known and been friends with the owners before they even began roasting coffee and had long dreamt of working with them on their brand. You might have seen their old packaging, they did amazing job with it 9 years ago, but it was beginning to show it’s age. I mean 9 years is a long time to go without a refresh. So, this last Spring, we began working with them to revamp not only their logo, but their full brand and packaging. We really had a lot of fun, and learned a ton about coffee, as we redesigned their logo, packaging, brand collateral, in-store experience, website and e-commerce store, and their tasting experience. While working with them we had the chance to see behind the scenes of the operation, just outside Philadelphia, and we wanted to share more about our work with them and a bit about their story. 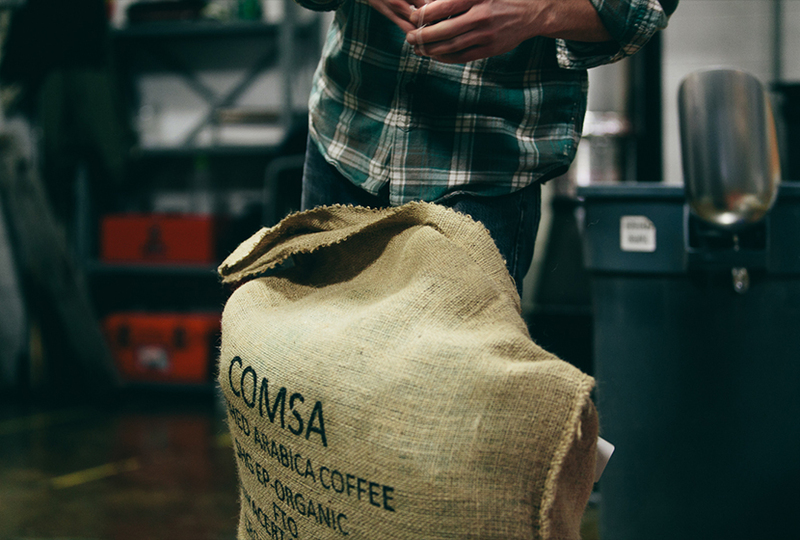 Before the branding and packaging launched, I headed up to Philly, and had the opportunity to experience the full roasting and packaging process at One Village. 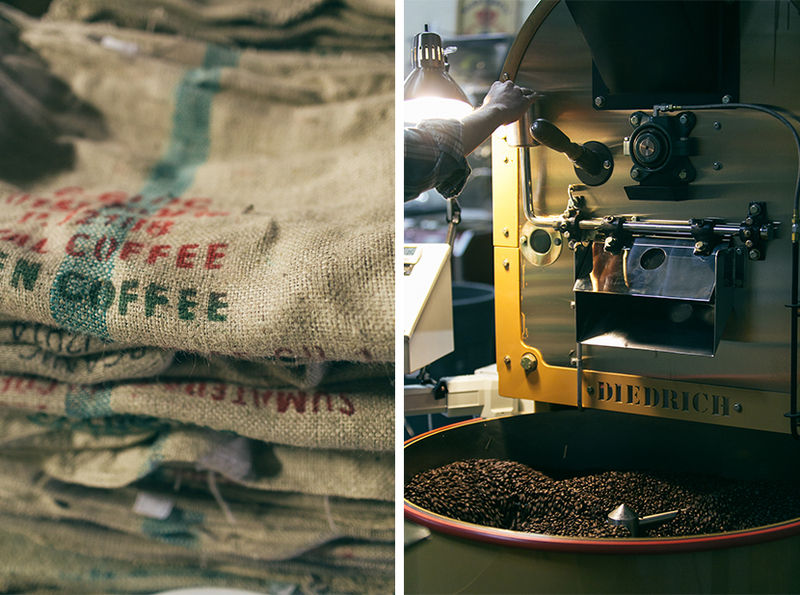 While there, I really learned what it takes to roast and source some of the best coffee in the world. 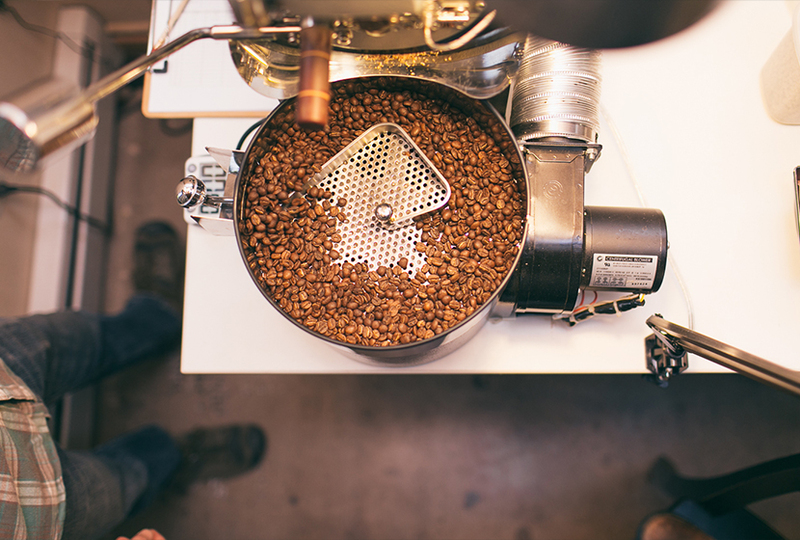 I loved seeing (and smelling) the full roasting process, but it was really amazing to see something our team had designed just weeks before actually in use on a pretty large scale. One of the most important things, we came to understand, about One Village Coffee is just how communal they are. Time and time again they would stress the importance of their brand representing a full village of Growers, Roasters, and Coffee Drinkers; and that if any one of those pieces is removed the whole thing falls apart. That was our guiding vision as we began the design. Their former packaging had a real hand done element, which we loved and wanted to keep some aspects of. However the old packaging was beginning to feel busy and our goal was to minimize and retell the story. So, we broke down the elements of the brand and looked for ways to tell their story in their packaging. Below you can see one of the first bags to come off the line, it doesn’t even have the blend sticker on it, but you can see the base bag design. We are always looking for subtle ways to bring you into the experience of the brand without using words. One Village cares about their coffee farmers, but how do you show that? You start with the bag itself. All of the packaging is compostable and has a subtle topography pattern. As we were working on the exploration phase of the design we kept seeing the coffee field maps and thought this was a great modern way to share the connection to farmers. It all starts with the farmer why not make that our background. So you will see this background all over the brand as a supportive design element. 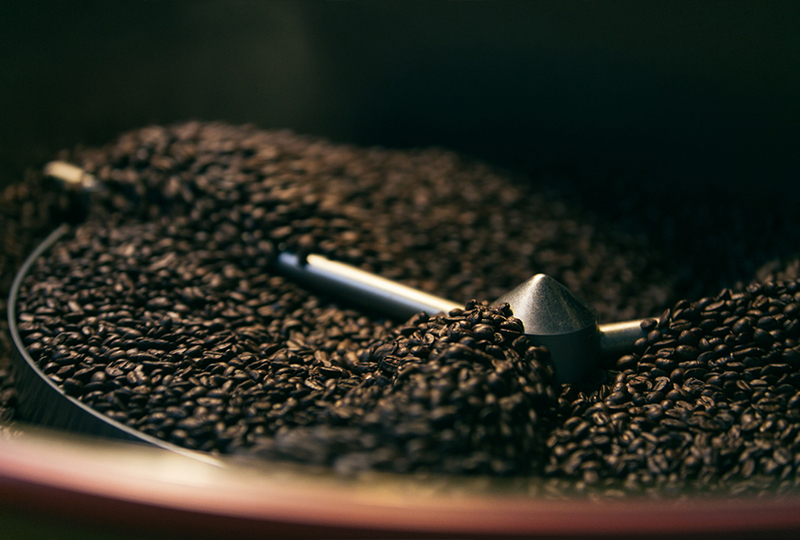 The blue mark and black type also speak to the water that feeds the fields and the roast of the end product. This was a really rewarding brand build, and the timing was perfect. 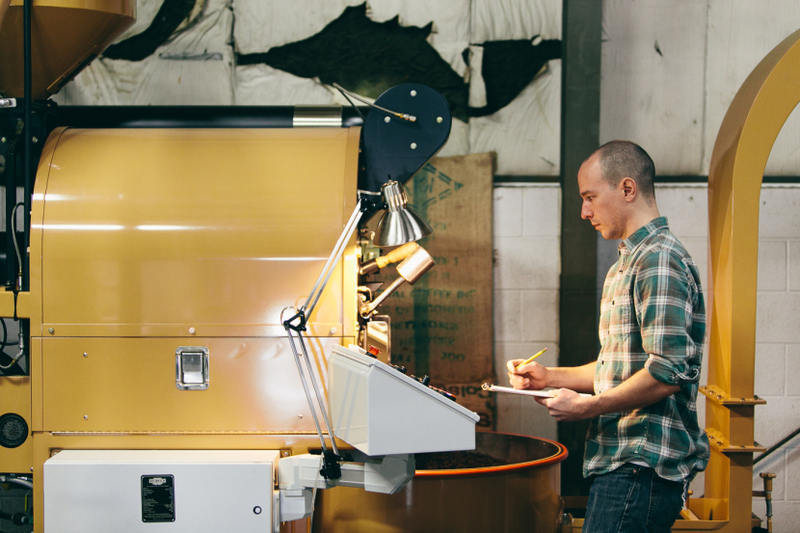 One of the things I enjoyed the most was spending time with Woody, who heads up the brewing accounts and is a Licensed Q grader (basically he’s one of 2000 people in the world who gets to set the quality standards for coffee). 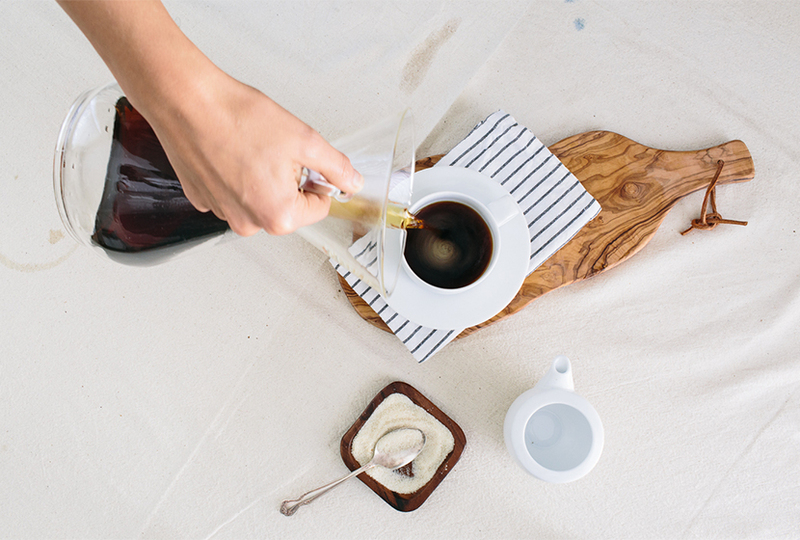 He and I spent an afternoon shooting all of the preferred brewing methods for their coffee. 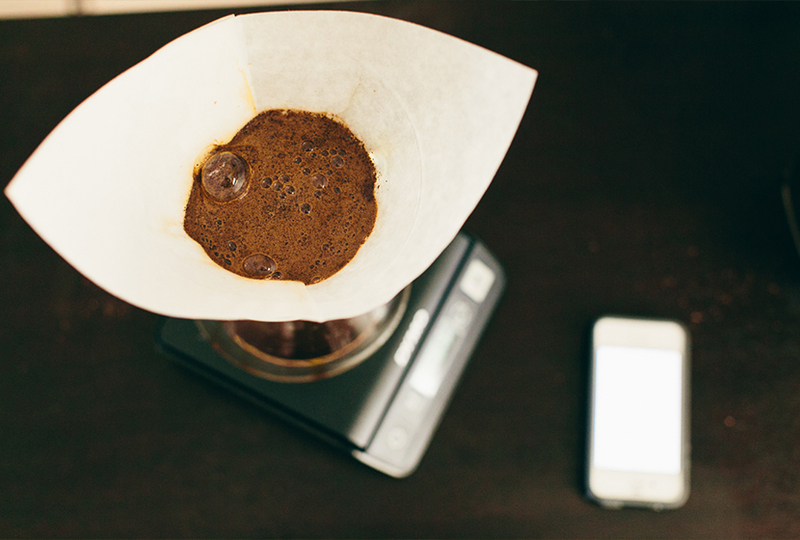 This is a great resource for those who want to try a new brewing method but don’t know where to start. 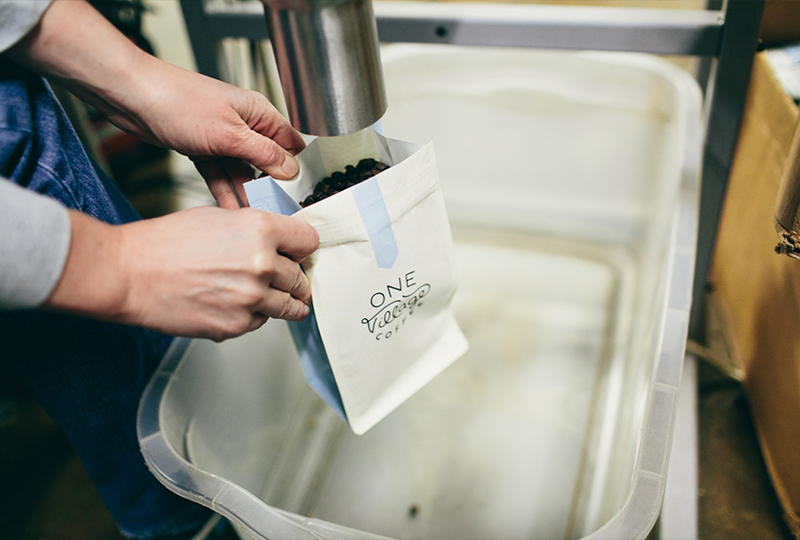 Make sure you check out the BREWING GUIDE on the new One Village site. 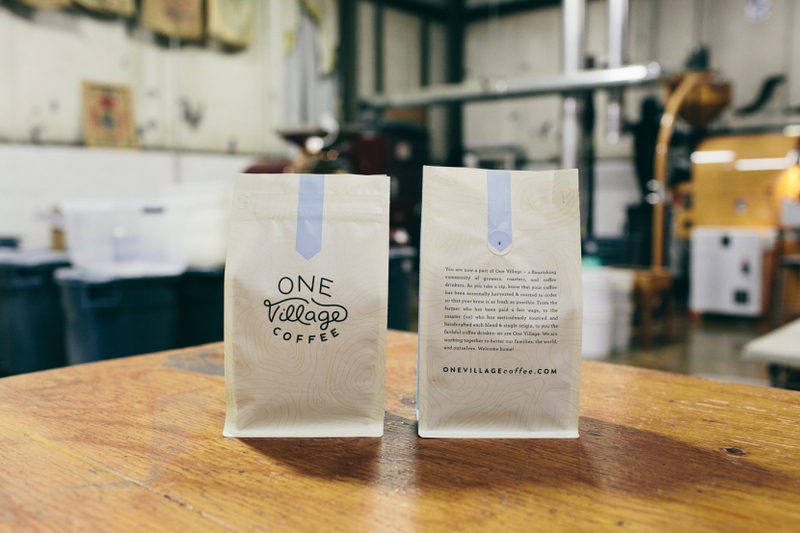 If you still are looking for a great holiday gift today is the LAST DAY to order One Village Coffee with our new bag design to get it in time for Christmas. Make sure you try their Holiday Coffee Kit or their holiday blend Winter Wonderland or my favorite single origin Ethiopia Yirgacheffe Yirgz. Also check out their Instagram | Twitter | Facebook to follow them around the world and see when they have new roasts available.